Before purchasing your first new biofuel fireplace there are a number of questions you might have. We have tried to answer as many of these as possible below. If you have any more questions, just contact our friendly, helpful staff. Can I use a biofire outdoors? Many of our customers do use their bioethanol fire outdoors, but please remember to position them well away from any flammable item, especially those models that have an open front . There may be an unexpected gust of wind that could cause a fire if the flame touches anything flammable!. Also you should be aware that whilst there will be some heat generated when used outdoors, they are mainly used for an outdoor aesthetic, adding some pleasant talking point atmosphere to evening gatherings., and therefore you shouldn't rely on them to be the main source of heat on colder nights. Before you use the Biofire for first time! Check the steel fuel box for any small remnants of packaging that may have fallen inside the fuel box or the fireplace. These can cause some small amount of smoke if not removed. If you have a vacuum cleaner with a nozzle, we suggest you use this. During the filling of the fuel box, some biofuel may have unknowingly splashed or sprayed outside of the fuel box and onto the fireplace or accessories (logs, pebbles). Please clean away any spilled fuel before lighting. What fire extinguisher should be used in any emergency? Bioethanol fireplaces give off real heat from real flames. 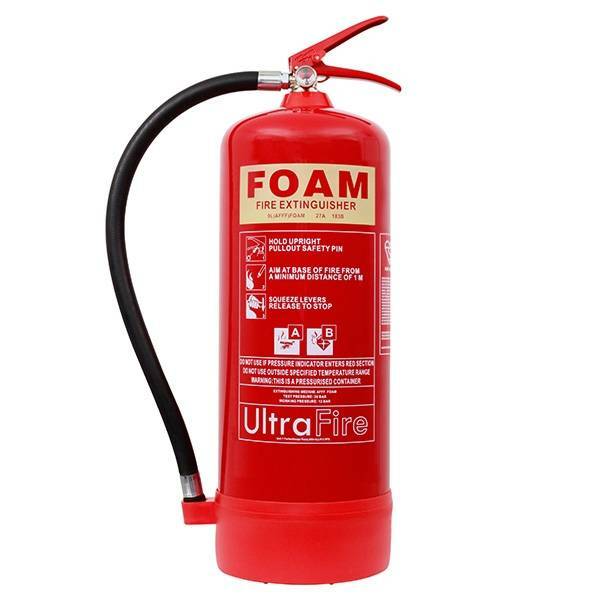 Although it is of course extremely unlikely, should an emergency situation arise, such as the flame cannot be extinguished by normal methods (closing the fuel box using the closing tool supplied), or the biofire is knocked over, please use a foam type fire extinguisher to extinguish the flames. Our bioethanol fireplaces give off real heat from real flames, so you have to treat them with the same level of common sense as you would any object with a real flame. Imaginfires are constantly updating and improving our biofires to ensure they are safe as possible. Our products have been tested by a world renowned testing laboratory to the new British & European safety standard BS EN 16647:2015, and this helps ensure we sell only products we would be delighted to have in our own homes. Our freestanding, firebasket & woodburner style bioethanolfires now include the new, patented, 'No Spill' fuel box too, so the biofuel is quickly absorbed by a special internal absorbtion feature and reduces the risk of any biofuel spilling out of the fireplace when knocked. Do I need a chimney for a bioethanol fire? No. You dont need to have a chimney as our bioethanol fireplaces are smokeless. This is why we sell so many biofires to people in flats, as well as houses, conservatories etc. If you do have a chimney, then of course you can still use a bioethanol fireplace too, and it doesnt matter if the chimney is blocked or open. If it's open, then of course some of the heat from the bioethanol fireplace will be lost throught the chimney. If the chimney is closed/blocked then the heat will be retained in the room. Do bioethanol fireplaces give off real heat? Yes. Absolutely. Whilst our bioethanol fireplaces are not intended to replace your main heating, e.g. central heating, they will make a perfect additional heating source when you would like to creat a more gentle atmosphere, with that real flame, cosy feeling. The actual amount of heat output from our bioethanol fireplaces depends on a number of factors (room size, presence of drafts etc), but typically they will give off 2kw. For easy comparison, this is the equivalent of an electric heater on medium setting, or an increase in room temperature of 3 to 4 degrees. We're still working a way of measuring how much more cosy one of our bioethanol fireplaces will make any room! How long does bioethanol fuel last? On average, a litre of our bioethanol will last between 3 and 4 hours. The exact time varies according to how fully open you have the opening of the steel fuel box. When opened fully, fuel will be used at a faster rate than when it is only half opened. Also, larger bio fires (with larger steel fuel boxes) will burn the biofuel at a faster rate than smaller bioethanol fireplaces, whilst others with a smaller opening may burn for longer. If used outdoors, then any wind will make the fuel burn faster and so shorten the total burn time.